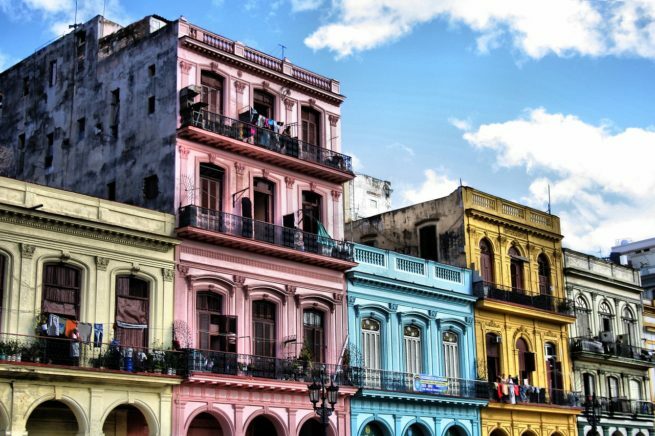 Jet Charter Cuba can arranges your private flight to the colorful capital city of Havana, Cuba. Our team can arrange your private aircraft to land at (MUHA, HAV) Jose Marti International Airport. From there, you’re free to walk the ‘El Malecon’ ocean drive, dance the day and night away in local salsa clubs, or swipe the (often replaced) glasses from the statue in John Lennon Park while puffing a freshly rolled Romeo y Julieta – the choice is yours. Whether traveling from the United States, Europe or anywhere else in the world, newly re-authorized travel allows our Jet Charter Cuba clientele to explore this tropical paradise. Chartering a private flight provides extra efficiency, flexibility, comfort, privacy and peace of mind. Keep in mind that there are still a number of restrictions and rules in effect when flying to Cuba. Our team of jet charter service brokers can answer any questions you may have in arranging your charter flight. Request a quote or contact us today to book your private charter flight to Havana, Cuba. Havana, the capital of Cuba, is the largest city in the Caribbean and one of the most culturally significant cities in the world. 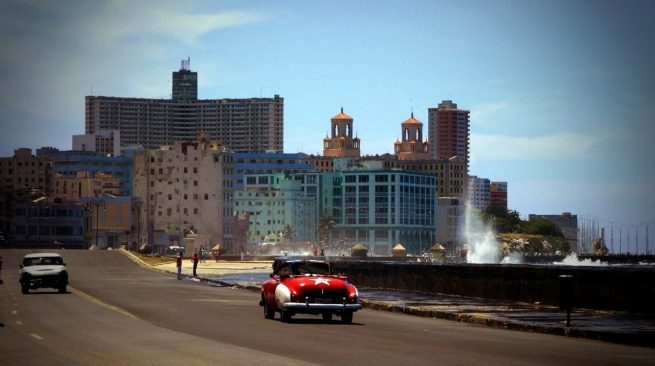 Havana has a lot to offer private luxury jet travelers, from its culturally celebrated revolutionary history, magnificent 19th-century Spanish colonial architecture, and miles of shimmering beaches, to a variety of exclusive hotels and resorts for luxury getaways, business trips and special events. The following list of our top choices was created based on factors such as Jet Charter Cuba passenger feedback, location, amenities and online reviews. Once you arrive in Cuba via luxury private jet, our Havana Jet Charter service brokers can also arrange ground transportation to/from the hotel of your choice. Havana is a city of contradiction. It’s majestic, yet crumbling. It’s an island devoted to Catholicism under the lead of declared atheists where priests practice Santeria. The city’s energy and spirit lifts you up, while the peeling paint and deteriorating facades let you down. It’s like looking at a neglected pocket-sized Barcelona through an art-nouveau HDR lens. But scrub off the layers of communist grime with a newly authorized visit to Havana in a luxury private jet, and discover the allure of this charming, eclectic capital – from chrome-clad vintage American cars lining city streets and alleyways with groups performing intoxicating rumba beats that go chick-chicky boom, to waves splashing over the mildewed seawall along the colorful ‘El Malecon’ ocean drive, and never-ending Salsa music echoing from bars and clubs, most notably Tropicana Cabaret. Havana will have you at “Hola”. Home of the world’s most sought after premium cigars, Havana contains cigar factories and shops of all different shapes and sizes. Romeo y Julieta, one of the world’s most iconic cigar brands, rose to fame during the 20th century after originating in Havana in 1875. In fact, the cigar became the preferred brand of Winston Churchill, which led the company to commemorate it’s most iconic size cigar with his name. After being embargoed, production moved to the Dominican Republic, however, visitors can still tour the factory which is now home to the H. Upmann cigar brand. The factory still rolls select Montecristos and Romeo y Julietas, along with several sizes of Cohiba. The Partagás Factory is Cuba’s best known and most frequented cigar factory for tourists. Along with its own brand, the 166 year old factory is the main production factory for Bolivar, La Gloria Cubana, Ramón Allones and Quai D’Orsay cigars. Privately-run culinary enterprises called “Paladars” have started popping up in the most obscure places, serving some of Havana’s most fascinating and diverse flavors. Your trip might not include departing from La Guardia, but part of your trip should include dining at La Guarida, an elegant, iconic and eccentric Cuban paladar made famous by its award-winning movie origins, celebrity diners and exceptional cuisine. Check out our recommendations below for things to do after your private flight to Havana, Cuba. Old Town Havana is truly characteristic of a city stopped in time. Old cars, architecture, and artisan markets can be found all around this area. La Plaza de la Cathedral is said to be a true work of art. The plaza is one of Havana’s five main squares, and the site of the Cathedral of Havana. It’s also near many other attractions, as well as shops and restaurants, making it a central attraction for any tour. Like many hispanic castles in the Caribbean, the El Morro served as a line of defence against invaders by sea during wartime. Exhibitions and galleries are sometimes held here, but if anything, try to catch the tradition of firing the canon. Depending on when you go to visit the Gran Teatro, you may be left outside due to opening hours and recent renovations. However, many say the true show is the exterior – it’s a beautiful sight, and makes for great photo opportunities. Jet Charter Cuba utilizes the following airports to arrange private flights to/from Havana, Cuba and neighboring areas. Request a Quote or give us a call at 1-888-987-5387 to speak with one of our Jet Charter Cuba service brokers for your next luxury vacation, business trip, or special event in Cuba or any destination around the Caribbean.